Here we have gathered a number of native plant landscaping references. Some are general, for the whole state of Montana, and others are specific to various regions of the state. Represented regions include: Flathead Valley, Helena area, Bozeman & Southwest Montana area, and the Missoula & West-Central Montana area. Click on the region you are interested in. Don’t feel limited to reading about your area only- much of the information is applicable to multiple regions. 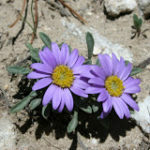 These guidelines for avoiding introductions of invasive species were developed by the Montana Nurseryman’s Association and the Montana Native Plant Society. This is a PDF file and requires Adobe Acrobat, which you can download for free from adobe.com. This is a comprehensive guide developed by the USDA Natural Resources Conservation Service Bridger Plant Materials Center. Here is a newly researched statewide guide to sources of native plant material for your landscape needs. 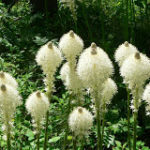 A website from the Audubon Society about the Hows and Whys of native plants. The goal of this site is to encourage people to further develop an awareness of their ecological footprint and the impact each of their decisions can make on bird conservation and the environment at large. 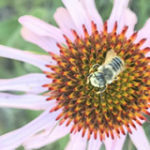 Background and guide to growing echinacea in a garden or farm environment – written by Helen Atthowe, Missoula County Extension. Ecoregional Planting Guides from the Pollinator Partnership – Includes links to comprehensive pollinator information. You may also be interested in a document on Voluntary Guidelines for Selecting Horticultural Plant Material for Montana developed and posted by the MNPS Conservation Committee. The paper discusses non-native horticultural materials.